Butler University has been awarded a $339,000 grant from the Freeman Foundation to support undergraduate student internships in East and Southeast Asia in 2016 and 2017. The money will be used to send 20 students to Shanghai in 2016 and 20 to Shanghai, 10 to Beijing, and 10 to Singapore during summer 2017. 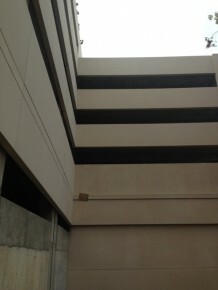 The grant provides $5,000 per student to offset the cost of their travel and housing costs. In addition, the grant provides financial support for students who are already in East Asia on a semester study-abroad program and can fit in an internship into that time. The summer internships are six weeks long. A Butler faculty member will be on hand at the beginning of the semester to get the students settled. McKinney said Butler is one of only 23 universities in the United States to earn this kind of support from the Freeman Foundation. 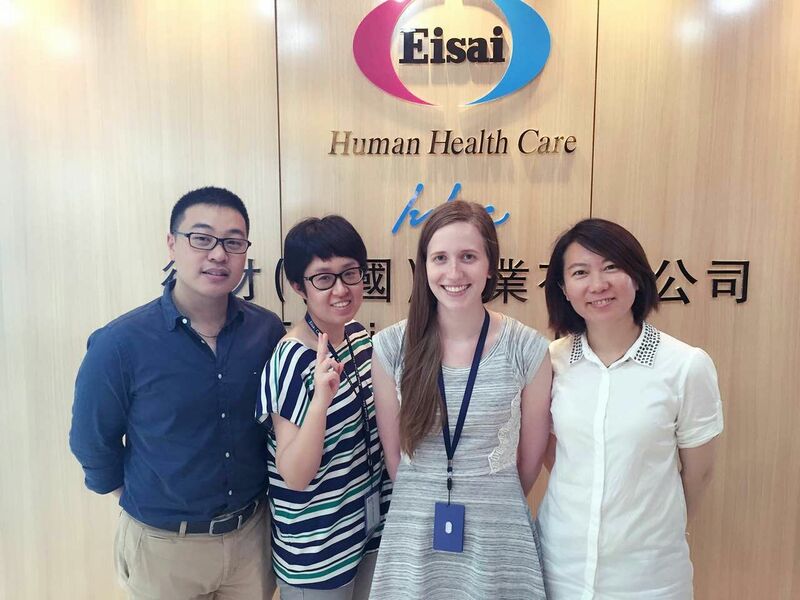 During the summer of 2015, Butler sent 19 students to intern in Shanghai and Hong Kong, thanks to a $99,500 Freeman Foundation grant. Grace Lewis, a senior majoring in Pharmacy and minoring in Chinese, said her internship at the pharmaceutical company Eisai China Inc. taught her about the pharmaceutical industry and drug marketing, and also gave her insight into healthcare in China. If you were a college professor giving seniors their final 20-minute lecture, what would you say? National college senior honor society Mortar Board posed this question to four Butler professors, who then presented their “last lecture” on Thursday, December 3, to about 60 students. Chemistry Professor Stacy O’Reilly took a scientific approach. She explained how Gore-Tex is made from petroleum for use in ski coats. She said students should be aware participants and consumers as they head out into the real world. “Remember that everything you use comes from somewhere and from someone,” she said. Philosophy and Religion Professor Brent Hege spoke about finding enlightenment, reminding students to continue to think critically. Christine Smith, an Adjunct Professor in the Core/First-Year Seminar, wanted students to reflect on their life's purpose and to live unapologetically. And Journalism Professor Scott Bridge just wanted his students to know how much they mean to him. “I would want students to know how much they have meant to me and how I will continue to help them long after they've graduated,” he said. All professors agreed that, although it was daunting to prepare for their theoretical last lecture, they were glad to participate. Students felt the same way. 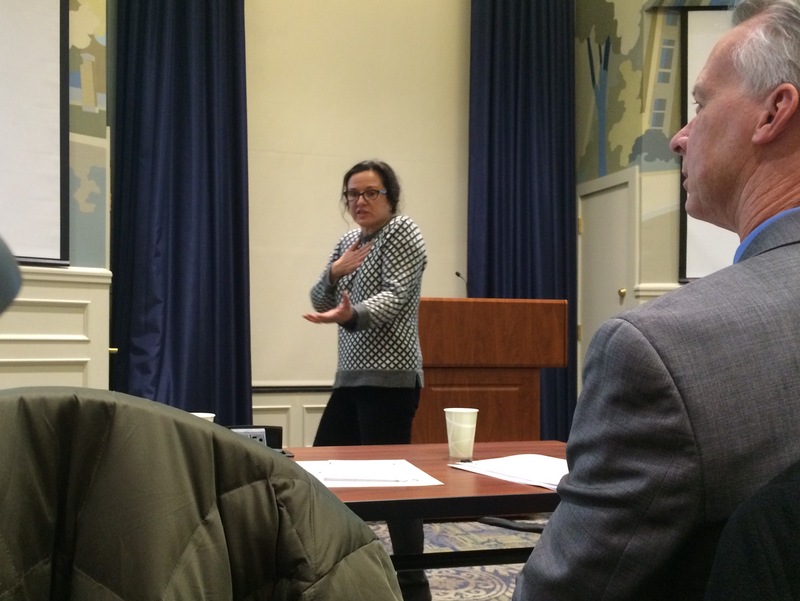 Four Butler professors were asked to give their “last lecture” to graduating seniors. Here’s what they said. If you give an engineering student a pumpkin … he’s probably going to design a protective structure and hurl it off the new Sunset Avenue Parking Garage. At least, that’s exactly what members of the Engineering Dual Degree Club (EDDC) did on Friday afternoon (October 30) during their annual Pumpkin Drop. 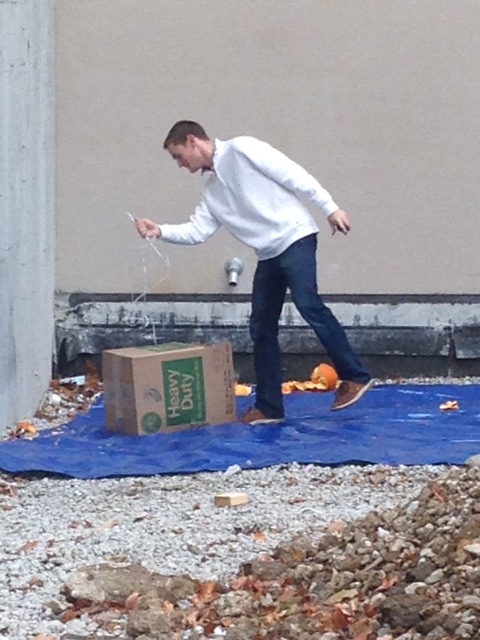 This year, the club opened up the event to all students on campus, and 11 teams showed up to see whose pumpkin could stand the fall from the roof of the five-story garage without shattering. For engineering students like Dan Ellsworth ’20 and Joe Camacho ’20, the surprisingly intense competition was a major draw. For some, coming prepared meant using the expected materials to protect their pumpkins—packing peanuts, plastic bags, cardboard boxes. Others used items they found in their dorm rooms, like a fluffy down coat, to cushion the bottom of a box. First-year students Spencer Spaulding and Taylor Hammond crafted some reusable shopping bags into a DIY parachute, but they didn’t look confident. “It’s going to explode in the most extravagant fashion,” Spaulding said, looking down at his team’s homemade parachute. His prediction was right, but his pumpkin wasn’t the only one that didn’t survive. In fact, no one’s did. But Ryan Krueger ’18, president of the EDDC, said that doesn’t matter. Krueger said, the club meetings are a great way to see if engineering is for him or her. “I’m really excited to promote the engineering program and club,” he said. Can a pumpkin survive a five-story fall? The Engineering Dual Degree Club tries to find out. Butler University’s part-time MBA program is the best in Indiana and 25th in the country, according to rankings Bloomberg Businessweek released on October 20. Butler’s program, which moved up 32 spots from last year’s rankings, is Indiana’s only part-time MBA program in the Top 25. 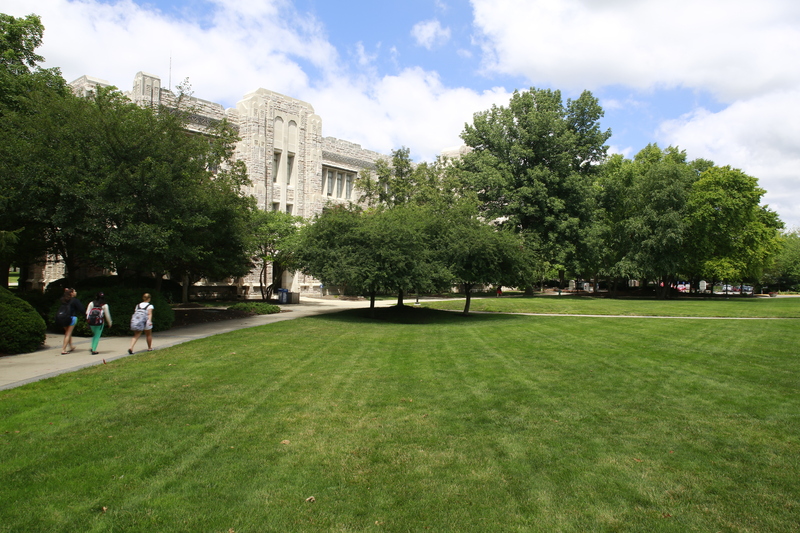 Bloomberg’s part-time MBA rankings are composed of 50 percent Student Survey score and 50 percent Alumni Survey score, which takes into account alumni compensation changes over time, job satisfaction, the impact the program has had on their career and if they would recommend the program to others. Alumni of the program ranked Butler No. 8 overall. "This year’s ranking is reflective of the tremendous impact our program is having on our alums and on the business community in general,” said Steve Standifird, Dean of Butler’s College of Business. “We are thrilled to be Indiana’s premier part-time MBA program." Part-time MBA programs differ from the traditional two-year MBA because of their students, who often require flexibility and want to use the degree to advance within their company, Bloomberg said. The students tend to be a little older than full-timers, and more than half return to their pre-MBA job, compared with one in 10 full-time graduates. Butler’s program is unique in the way courses are taught. Most are experiential and incorporate global issues and live cases and projects with local companies. Students complete real projects for actual businesses, which build their skills and expand their network. Concentrations are available in Entrepreneurship and Innovation, Finance, International Business, Leadership, and Marketing. Or students can pursue a general MBA. 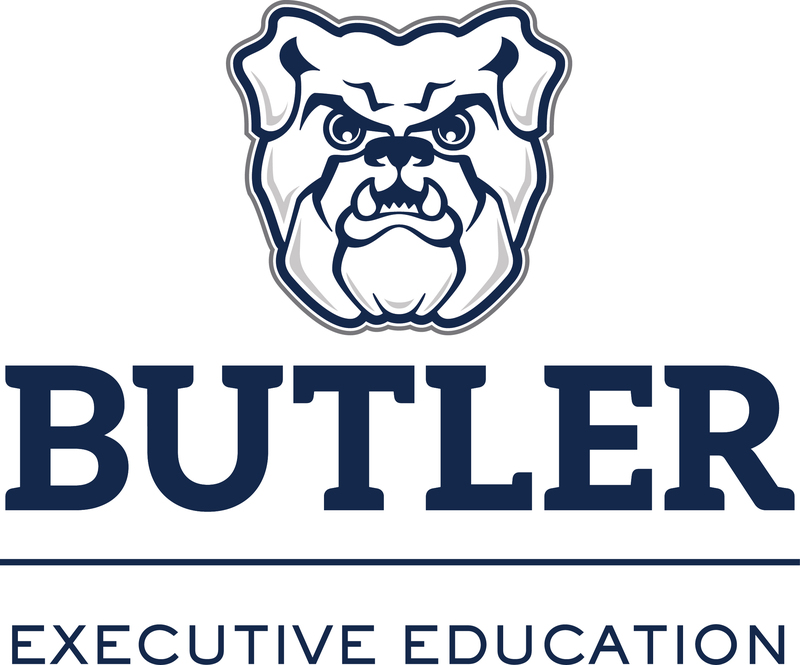 Butler students are assigned a personal leadership coach who helps to hone leadership skills, provides career advice and coaching, and work as a sounding board. This relationship builds throughout their time in school and beyond, forming the cornerstone of a solid post-graduate network. Hamilton Southeastern High School student Lauren Wallace had attended performances at Clowes Memorial Hall, but she’d never seen most of the Butler University campus. So when her school’s Cadet Teaching class came to Butler on October 1 for Future Educators Day, she was happy to make the trip. Wallace was one of 96 students from six school districts who came to campus for a College of Education-sponsored day of learning about the teaching profession and Butler. They met an Admission representative, toured the campus, talked with professors and students, and heard a bit about both the teaching shortage in Indiana and the joys and meaningful nature of teaching. They also had their questions answered about job placement rates (100 percent for the College of Education), class size (typically no more than 20, and usually less), and how much time Butler elementary-education students spend student-teaching before they graduate (1,500 hours). Toward that end, they participated in a class taught by Professors Arthur Hochman and Cathy Hartman. Using the book 50 Myths and Lies That Threaten America's Public Schools: The Real Crisis in Education, Butler students, the visiting high school students, and the professors discussed issues such as merit pay for teachers and whether American education has been dumbed down. The high school students—who came from the Crawfordsville, Hamilton Southeastern, Rossville, Charlestown, Twin Lakes, and Western Boone school districts—said they liked touring the campus, participating in the class, and meeting Butler professors, students, and the live mascot, Trip. 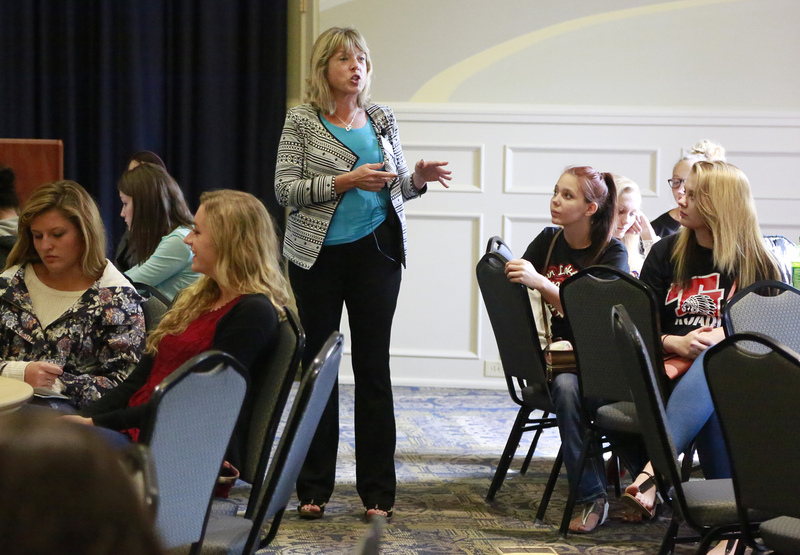 College of Education representatives said they were happy with this first Future Educators Day. They expect next year’s event to double in size. The Indiana Pharmacists Alliance has awarded Butler PharmD candidate Daniel Peterson '16 its Outstanding Student of the Year Award. The award recognizes students who have been actively involved in association activities and have helped to promote the advancement of pharmacy. Peterson is scheduled to graduate with a Doctor of Pharmacy degree and an MBA. Daniel is an intern at CVS pharmacy. Peterson has also held many leadership positions. He is the President of his pharmacy class at Butler University. He is the Director of Resources and Records for the Butler University Community Outreach Pharmacy (BUCOP). Last summer, he was chosen out of many applicants as the VALOR pharmacy intern at the Richard L. Roudebush VA Medical Center. 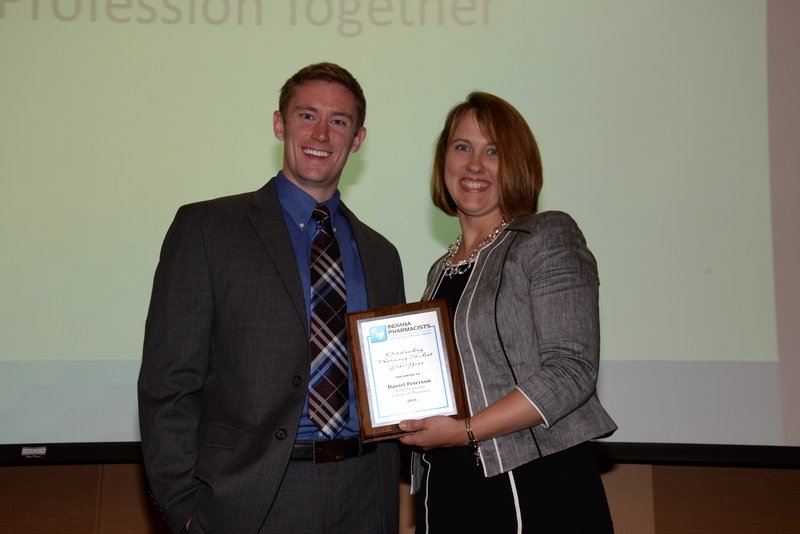 He was also awarded a McSoley scholarship by the Indiana Pharmacists Alliance in spring 2015. Peterson is an avid volunteer. He has participated in the Phi Delta Chi cleanup of inter-city neighborhoods and has worked at BUCOP, a student-run clinic that provides free medical care to an underserved community. The Outstanding Student of the Year award was presented to Daniel during the Indiana Pharmacists Alliance’s Annual Convention at the French Lick Convention Center on September 17. For the fourth time in five years, every Butler College of Pharmacy and Health Sciences (COPHS) graduate who took the North American Pharmacist Licensure Exam, the NAPLEX, passed on the first try. That first-time pass rate for the national exam ties for third best result among the country’s 130 pharmacy schools. Of the 557 Butler graduates who have taken the test over the past five years, only one didn’t pass the first time. Last year, all 111 passed. The NAPLEX measures a candidate’s knowledge of the practice of pharmacy and is used by the boards of pharmacy as part of their assessment of a candidate’s competence to practice as a pharmacist, according to the National Association of Boards of Pharmacy. Can identify practice standards for safe and effective pharmacotherapy and optimize therapeutic outcomes in patients. Can identify and determine safe and accurate methods to prepare and dispense medications. Can provide and apply health care information to promote optimal health care. Students can take the NAPLEX any time after graduation. It’s one of two tests they must take—along with a state exam to test their knowledge of the laws governing pharmacy in the state where they work—before they can practice pharmacy. Graham said the first-time pass rate among COPHS graduates is a great source of pride in the College. It shows not only that the College is providing the knowledge students need, but that COPHS students are learning, integrating, and applying the information. 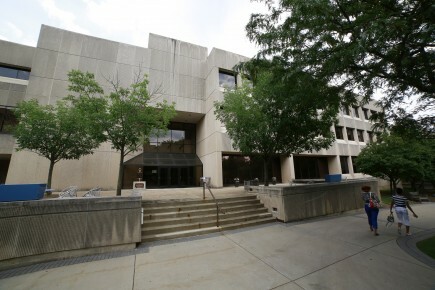 The Butler University College of Business’s Executive Education program and the Indiana State Bar Association (ISBA) are partnering to offer the Business School for Lawyers, a program created to combine a lawyer’s technical training with business knowledge and skills required to keep a law practice afloat. The sessions, which begin Oct. 30, will be held on the Butler campus. Participants will explore areas that include financial analysis, leadership, branding, human capital, and how to manage change in an organization. Sessions are designed to combine a lawyer’s technical training with business acumen and leadership principles to increase the client service and to enhance the firm’s sustainability in an ethical manner. Participants who take all five sessions will earn a Certificate of Business Administration. To register, or to see session descriptions and objectives, visit www.inbar.org. The deadline to register is Friday, Oct. 9. The class will be limited to the first 25 registrants. "If you are a lawyer in private practice with enough income and wealth to retire today, I congratulate you. I recommend that other lawyers consider enrolling in the Business School for Lawyers," ISBA President Jeff R. Hawkins said. 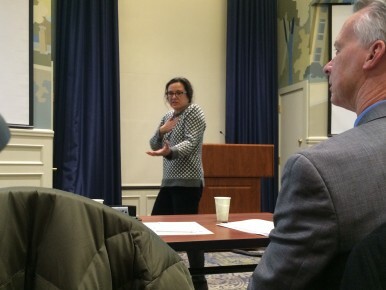 "The State Bar's partnership with Butler University offers members game-changing marketing and strategic planning resources that will move many of our members from striving to thriving, whether they practice as solos or partners at a global law firm." The curriculum for the ISBA program was designed by a tenured faculty team that includes Butler College of Business Associate Dean Craig Caldwell and Butler Executive Education Faculty Director Kathy Paulson Gjerde. Butler University’s Executive Education program and the Indiana State Medical Association (ISMA) will partner this fall to deliver a Physician Leadership Program. The courses, created to enhance leadership and business acumen, are being offered through ISMA’s new Indiana Center for Physician Excellence. Sessions are designed to combine a physician’s scientific knowledge with sound leadership principles to advance the goal of improving patient care. Participants will study areas that include financial analysis, management, organizational politics, and how to manage change in an organization. Continuing medical education will be provided for all courses completed and certifications will be issued to physicians who complete four of the six offerings in 2015. 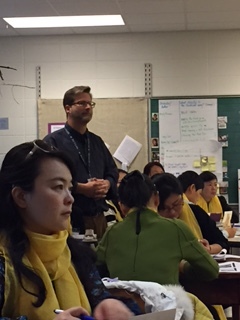 Course evaluations and assessments will help direct the future design of the program. Participation is limited and priority will be given to ISMA members. Find more information and registration at www.ismanet.org/PLP/. The program is being funded in 2015 and 2016 by a grant from the Physicians Foundation, a nonprofit organization that seeks to empower physicians to lead in the delivery of high-quality, cost-efficient health care www.physiciansfoundation.org/. The curriculum for ISMA program was designed by a faculty team that included Butler College of Business Dean Steve Standifird and Associate Dean Craig Caldwell. Butler University will welcome 1,040 first-year students on move-in day Saturday, August 22. Classes begin Wednesday, August 26. Butler’s class of 2019 continues the University’s track record of attracting high-quality, academically prepared students. Here’s a look at some numbers. -42 valedictorians and 16 salutatorians. -ACT middle 50 percent 25-30. -SAT middle 50 percent Critical Reading 520-620 and middle 50 percent Math 530-630. - 6 National Merit Semi-finalists/Finalists.- 1 National Achievement Finalist. The Class of 2019 comes from 37 states, D.C. and eight countries. Forty-five percent are from Indiana, and 55 percent are from out of state. About 180 come from the Chicagoland area. This year’s incoming class is also the most ethnically diverse, with 15.7 percent multicultural students and 38 international students. The breakdown by college is: 60 College of Education; 402 College of Liberal Arts and Sciences; 163 College of Pharmacy and Health Sciences; 86 Jordan College of the Arts; 250 College of Business; 79 College of Communication. Received the National Academy of Future Physicians and Medical Scientists Award of Excellence based on outstanding grades, leadership potential, and determination in the field of medicine. Created a publishing company at 14 and published her debut novel, Era, at age 16. Performed at the Vatican, the Grand Olde Opry, and the Kennedy Center. Led his team to the Junior League World Series. The Butler University College of Business will establish a student-run insurance company with the goal of having the company fully operational by the 2019–2020 academic year, thanks to a $250,000 gift from MJ Insurance and Michael M. Bill. 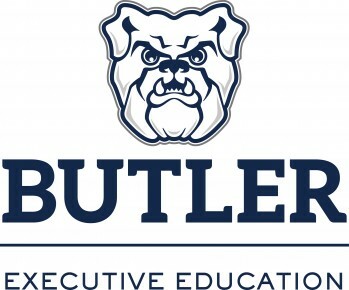 The Butler business, known as a “captive insurance company,” will insure certain programs at Butler, perhaps including the live mascot, Butler Blue III, or physical damage to University vehicles. College of Business Dean Steve Standifird said the idea behind the internal insurance company is to give students hands-on experience and prepare them for an industry that expects to need tens of thousands of new employees over the next seven years to replace workers who will be retiring. Finn said the program will give students the opportunity to look at risks that face the university, assess the financial impacts, and determine whether the risks would be best retained and paid for with university assets as they occur, through traditional insurance markets, or through a captive insurance company. Students will learn how to write the insurance policy, what the coverage terms will be, how to finance the company, and more. They will be able to apply their risk-management expertise in accounting, investments and numerous other areas. MJ and Bill’s initial gift will cover the minimum amount of capital that’s needed to fund a captive insurance company at its outset. The College of Business also will be soliciting gifts to fund the operating costs. According to figures from the U.S. Bureau of Labor, the insurance industry will need to replace 104,000 insurance sales agents, 71,900 claims adjusters, 67,400 claims/policy processing clerks, 28,900 underwriters, 8,500 software developers/programmers, 7,500 computer/information analysts, and 6,900 actuaries by 2022. Finn estimated that even if the approximately 50 colleges and universities that offer an insurance program were able to graduate about 50 students each year—an optimistic estimate, he said—that would still leave an enormous shortfall of people ready to step in and do the jobs. Added Loftin: “We are encouraged by the increasing interest of the millennial generation in the insurance and risk management industry which has historically been viewed by college graduates as boring or stale compared to some other careers. We are finding that most young adults today are simply unaware of what extraordinary opportunities exists within this industry that often times align more closely with their career, financial and, most importantly, their life goals.